After looking at modern variants of the old Filtertron® style pickups, and wanting to replicate the original twang & growl of the original '50s versions, I came up with these - introducing the Black Cat 'No Ears' Mount Filtertron® style pickups - Back to the original specifications for that brighter, attacking rock, rockabilly & blues sounds. The 'Super' Black Cat is similar to my Classic Black Cat with the exception of dual plated steel blades tather than the usual pole screws. This helps to give a more even string balance, especially with string bending, and a slightly fuller, slightly warmer sound. Aesheticaly it looks a completely different design. The Black Cat bridge is full yet jangly, attacking, powerful & bright, designed to break up the amp at gain for great bite, great growl to the sound. 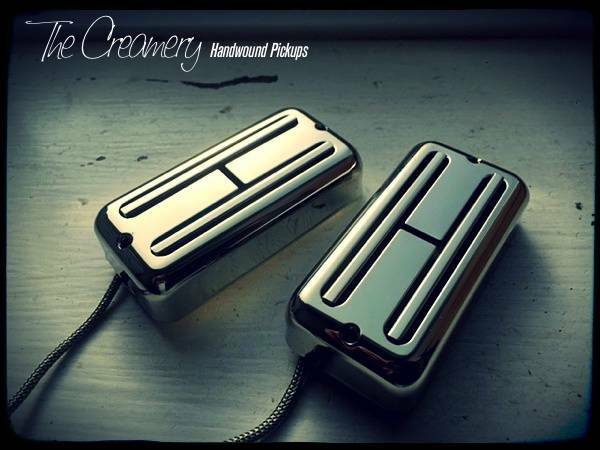 Don't let the lower output reading in fool you, these are no tame pickups.